Looking for our 2019 guide? Click here! Minnesota, and particularly the Twin Cities area, is a great place for gamers. Maybe it’s all the time we spend indoors due to the weather, or maybe it’s just a natural evolution of the fan culture that has thrived here for over 50 years, but it’s difficult to do a perception check above zero without detecting another gamer. There are so many gaming events here all year round that it can be difficult to keep track of them all! Fortunately for you, Twin Cities Geek is here to help you throw dice and level up with your 2018 list of gaming conventions and events in Minnesota. Some of these events are dedicated gaming conventions, while others enjoy a broader focus but have enough gaming going on that we thought they were worth telling you about. As always, check out the event’s website for more specific information about what they are offering this year as well as the most accurate dates, locations, and prices. 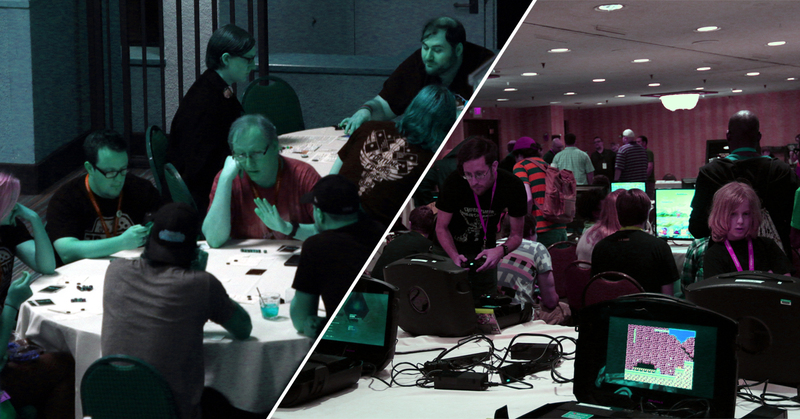 Did we miss a gaming group, convention, or event that you think more Minnesota gamers should know about? Please let us know in the comments, and don’t forget to take a moment and add your gaming events to the free Twin Cities Geek Community Calendar! Fine New Foods at Fantasy Flight! Minicon is in Saint Louis Park this year – they’re in a different hotel.